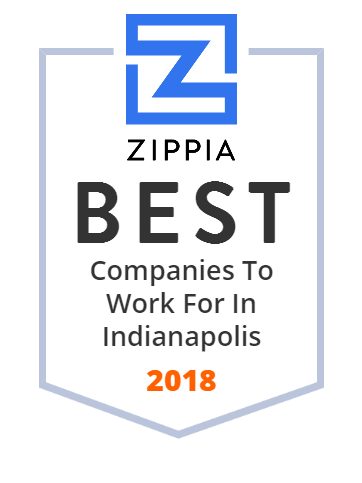 We hand-curated a list of the best companies to work for headquartered in and around Indianapolis, IN using data on salaries, company financial health, and employee diversity. Eli Lilly and Company is known for their high-quality medicines which are being distributed to 125 countries. Founded in 1876 by Col. Eli Lilly, this global pharmaceutical company remains committed to his vision through every aspect of their business and the people they serve, starting with those who take their medicines, and extending to health care professionals, employees and the communities in which they live. They currently have up to $1 billion in revenue and around 10,000 employees. We are central Indiana's leader in access to innovative and compassionate healthcare services, where and when patients need them. St.Vincent Health is a Catholic-based, 20-hospital system spanning Central Indiana, providing quality care in more than 47 counties. Allison Transmission is the premier global provider in the automotive industry that manufactures commercial duty automatic transmissions and hybrid propulsion systems. With headquarters in Indianapolis, Indiana, Allison Transmission has regional offices all over the world and manufacturing facilities in Indianapolis, Chennai, India, and Szentgotthard, Hungary. This trusted manufacturer has always been dedicated to quality since 1915. Headquartered in Indianapolis, Indiana, Simon Property Group is a global leader in the real estate business. As an industry innovator, they are the first to make international investments, owning premier shopping, dining, entertainment and mixed-use destinations. Simon Property Group has remained committed to quality and the highest standards of excellence in all they do since its inception. Founded in 2004, Anthem Inc. has been the largest for-profit managed health care company in the Blue Cross and Blue Shield Association. Headquartered in Indianapolis, Indiana, Anthem, Inc. delivers a number of leading health benefit solutions through a broad portfolio of integrated health care plans and related services. This American health insurance company also offers specialty products such as life and disability insurance benefits, dental, vision, behavioral health benefit services, and more. Appirio helps customers innovate and win in the new cloud economy. As the leader in enterprise crowdsourcing, this global services company delivers unmatched customer value by combining the world's top talent with a unique cloud services platform. Appirio builds innovative assets to infuse into their customer's solutions, helping every industry discover "the art of the possible." Headquartered in Indianapolis, Indiana, Angie's List has been the leading home services website throughout the US since 1995. This online directory allows users to read and publish crowd-sourced reviews of local businesses and contractors. They have around 10,000 employees and up to $1 billion in revenue. Hhgregg is one of the leading online shops in the retail industry that offers quality appliances, electronics, mattresses, furniture, computers, cell phones, drones and other new tech products. Located in Indianapolis, Indiana, this reliable company employs around ten thousand staff to provide superb services in the US and internationally. Hhgregg was founded in 1955 and has up to $1 billion in revenue. Indiana University Health, formerly known as Clarian Health Partners, is a nonprofit healthcare system located in the US state of Indiana. Indiana University-Purdue University Indianapolis is a public research university in Indianapolis, Indiana. For more than fifty years, Hurco Companies mission is still the cornerstone of this company and that is to provide unique, innovative software and CNC controls that help their customers maximize productivity through reduced setup time and multitasking on the shop floor. Hurco Companies strive each day to develop technology and build machine tools that simplify work to make the clients and their business more successful. Beam is known in the engineering industry for their problem solving expertise. From brainstorming, early planning and funding application, through public presentation and design, to final acceptance of their project, this full-service engineering firm remains dedicated to the principles of professional service. Their team of 500 employees keeps exceptional customer services as their number one priority. Duke Realty is a major United States real estate investment trust, based in Indianapolis, Indiana. Emmis Communications (NASDAQ: EMMS) is one of the country's most respected diversified communications companies. This innovative company owns radio, city/regional magazine, online, and mobile operations in large and medium-sized markets throughout the US Emmis Communications (NASDAQ: EMMS) has around $1 billion in revenue and a thousand of hard working employees. Calumet Specialty Products Partners, L.P. is a public U.S.-based company which specializes in the manufacturing of high-quality specialty hydrocarbon products. Calumet produces naphthenic and paraffinic oils as well as aliphatic solvents, synthetic lubricants, asphalt, fuels, white mineral oils, waxes, petrolatums, and hydrocarbon gels. Calumet's headquarters are in Indianapolis, Indiana. The company owns several manufacturing plants in Princeton, Cotton Valley, and Shreveport, Louisiana, as well as in Burnham, Illinois, Dickinson, San Antonio, Porter and Houston, TX, Karns City, Pennsylvania, Farmingdale, New Jersey, and Great Falls, Montana. Calumet Specialty Products Partners has one of the most diverse specialty hydrocarbon capabilities in the world. Kennedy Tank and Manufacturing Co.